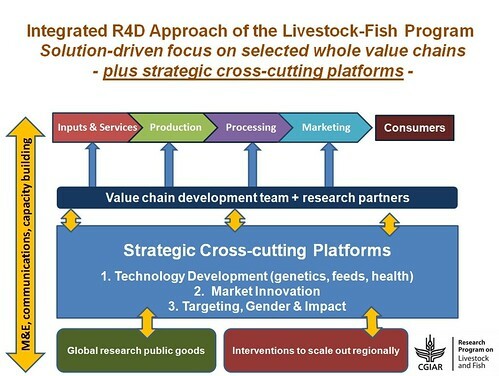 We have designed this Program to take a different, fully integrated approach to livestock and fish research and development challenges. Many past efforts achieved piecemeal outcomes by adopting piecemeal approaches. 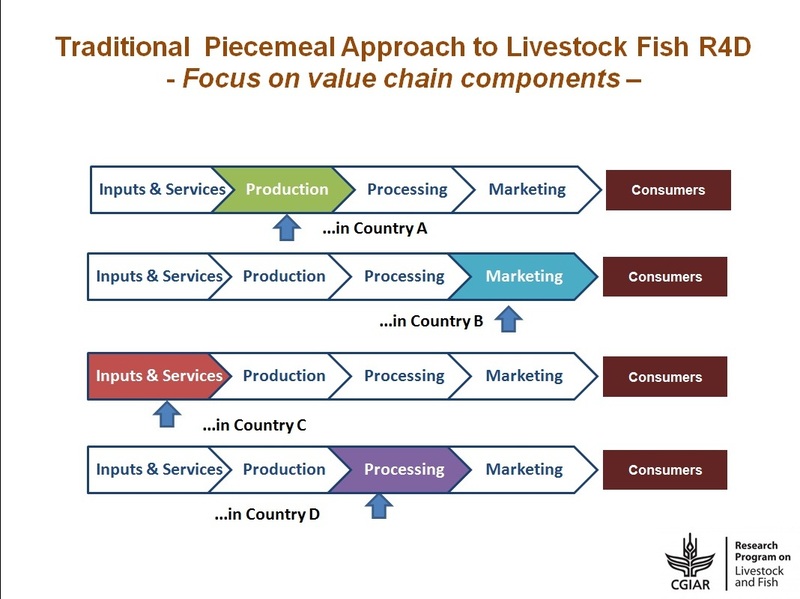 The Livestock Fish Program addresses selected whole value chains. 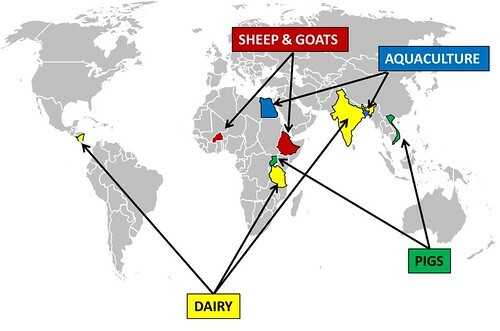 To improve our focus, we agreed to concentrate our collective Research for Development (R4D) efforts on selected animal‐product value chains. This will allow us to integrate our research in a holistic manner to generate the solutions that will transform the selected value chains and produce more food. 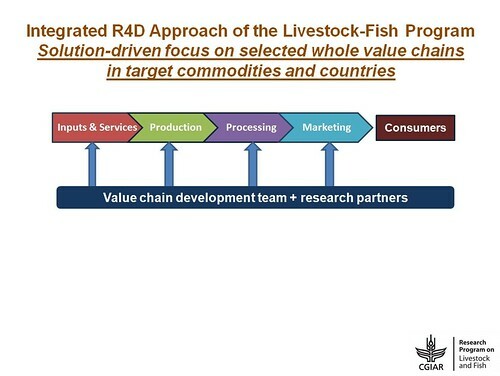 The program is built around three components that a) provide significant critical mass and investment in generating improved productivity through technology development and adaptation in the main areas of feeding, breeding and animal health, b) ensure that the technology development is driven by the real world context of agricultural value chains, and c) provide the cross‐cutting analysis of development process and outcomes to ensure that target beneficiaries benefit. Through strong development partnerships, our R4D will generate solutions and evidence that, by stimulating large development investments with partners, quickly takes solutions to scale for wider impact. These partnerships increase the urgency and relevance of our research while providing a mechanism to translate our research results directly into use at scale. 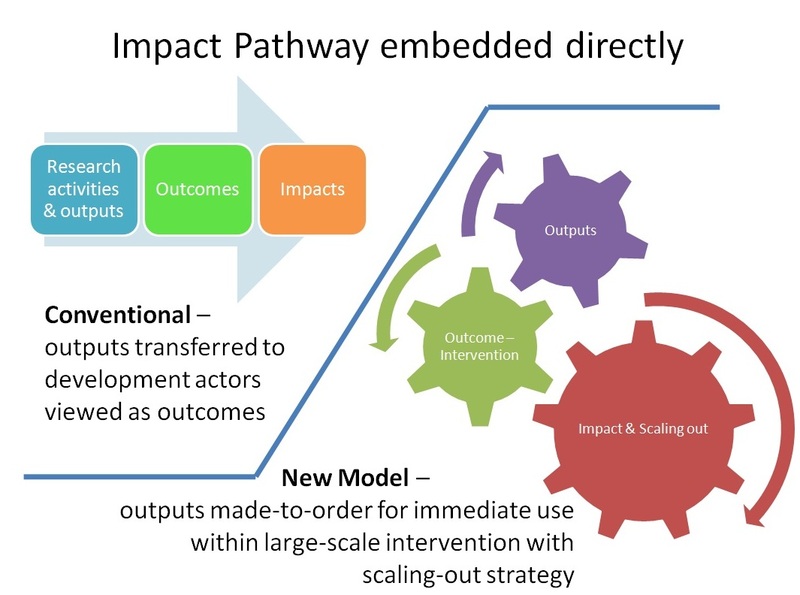 This model directly embeds our impact pathways into our research strategy. It embeds our research into the impact pathways of our development partners.